I recently ordered two 4K monitors (LG 27UD88). I connected them using Mini DisplayPort to DisplayPort Adapter cable to my MacBook Pro. 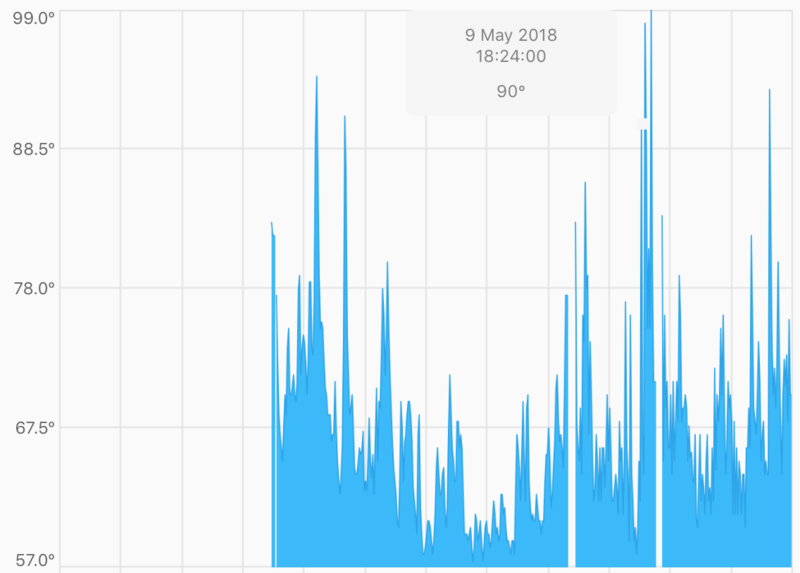 Before I used to have a high CPU load as well (with the additional monitors connected), but that got resolved after following the instructions in this article, CPU usage is too high with Yosemite and an external monitor, kernel_task spikes to 600%+. This all seems very odd to be. I have a maxed out MacBook Pro which can't handle two monitors? Here is the information on the GPU load. It seems that the GPU load is high, but that the processor of the AMD Radeon is not used. I'm currently looking into this, if you have any suggestions on how to make more use of the AMD Radeon GPU please do. I do have Automatic graphics switching turned off (this should increase high-performance graphics). 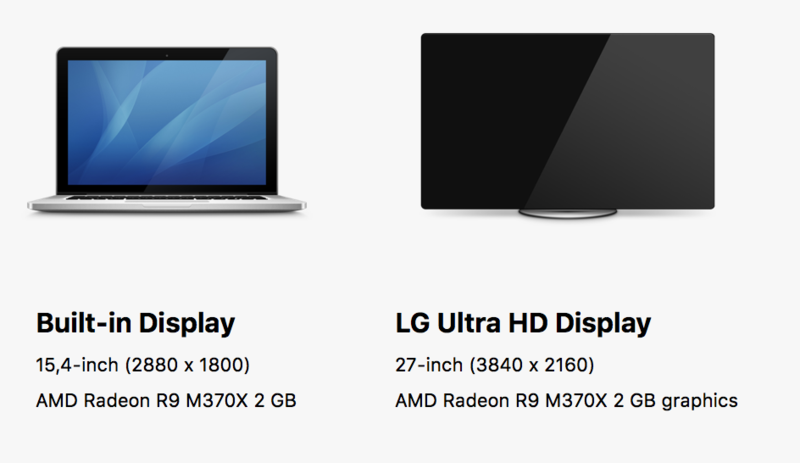 Also the system preferences tell that the AMD Radeon is being used for the external display. Though the iStat data suggests otherwise. I've installed gfxCardStatus and put it to discrete only. Looks like the AMD Radeon GPU is actively being used. This does not make a difference. 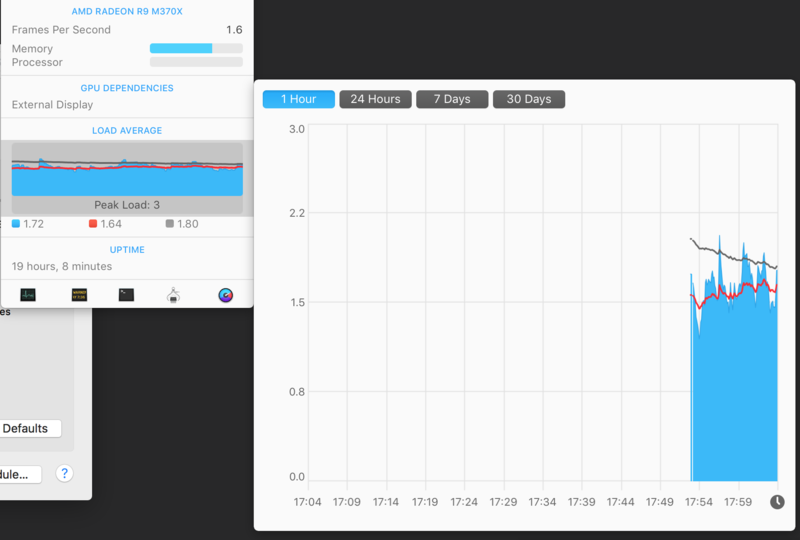 I've ran iStat for a while now. 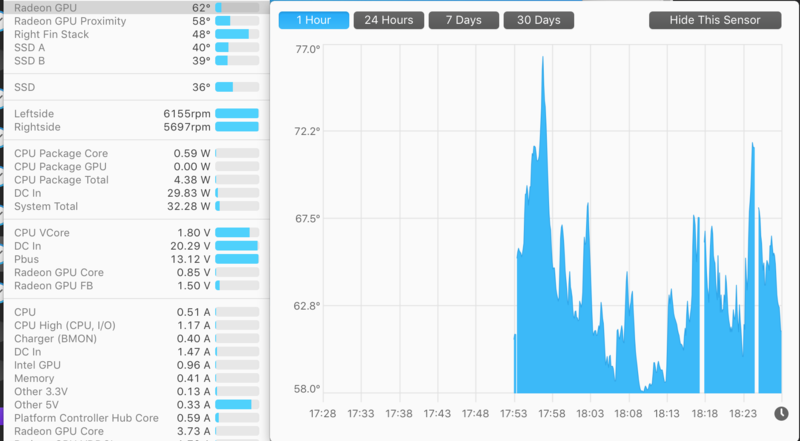 Looks like the CPU has many spikes, even up to 90 degrees. This would obviously trigger the fans to start blowing (also the MacBook itself feels hot near the processor). Looks like the average temp at the moment is 70 degrees. Browse other questions tagged macos macbook mac display cpu . 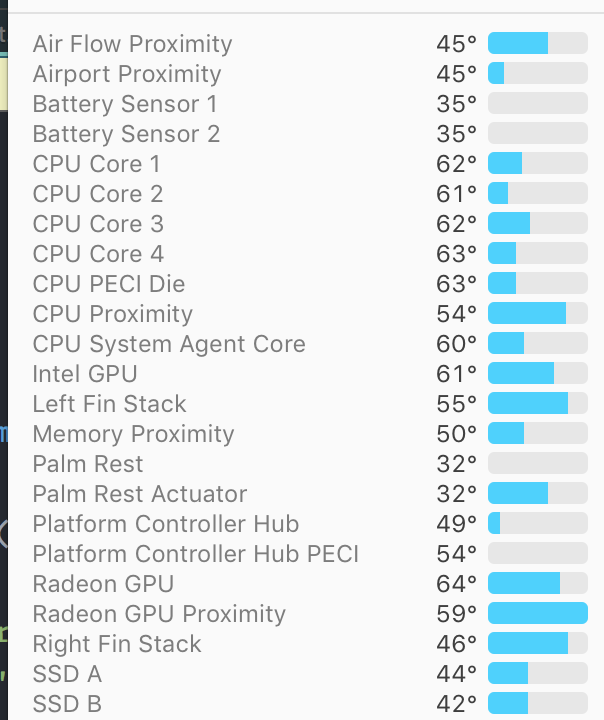 What are safe CPU temperatures ranges under heavy load in the unibody Macbook Pro?